Look alive people, as in a couple of months we’re going to see the longest total lunar eclipse so far this century, when the Moon will turn a deep red. 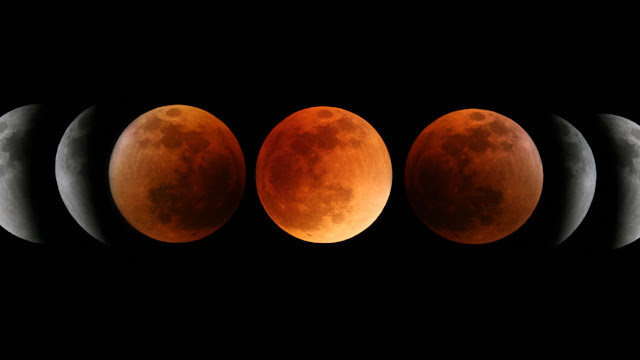 A total lunar eclipse is caused when the Moon passes through Earth’s shadow, known as the umbra. This occurs when the Sun, Earth, and the Moon are lined up. It’s like a total solar eclipse, but this time we’re the ones eclipsing the Sun, and we’re much bigger, so the whole Moon is draped in the shadow. 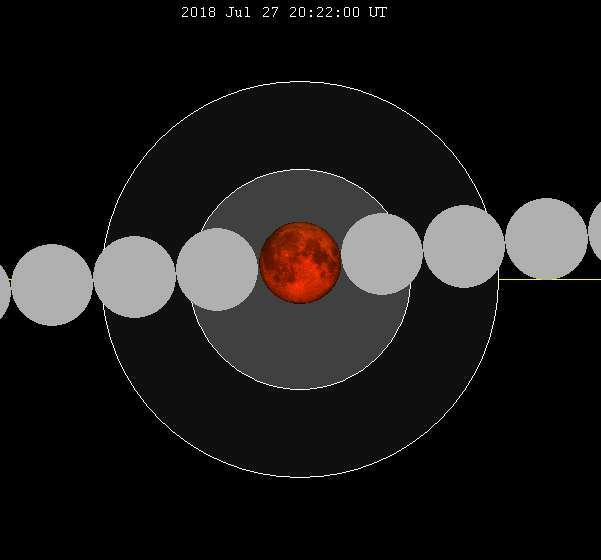 And on the July 27, 2018, we’ll be treated to a total lunar eclipse that lasts a whopping one hour and 43 minutes, peaking at the 8.22pm UTC. It’ll be visible in most of the Africa, the Middle East, India, Australia, and parts of Europe too. This total lunar eclipse is especially long because the Moon will pass almost through the center of the umbra. If it’s more to the side, it doesn’t last quite as long. If it misses the umbra entirely then we may get a partial lunar eclipse, when it passes through the surrounding penumbral shadow of Earth instead. Earth’s position in its orbit plays a factor too. 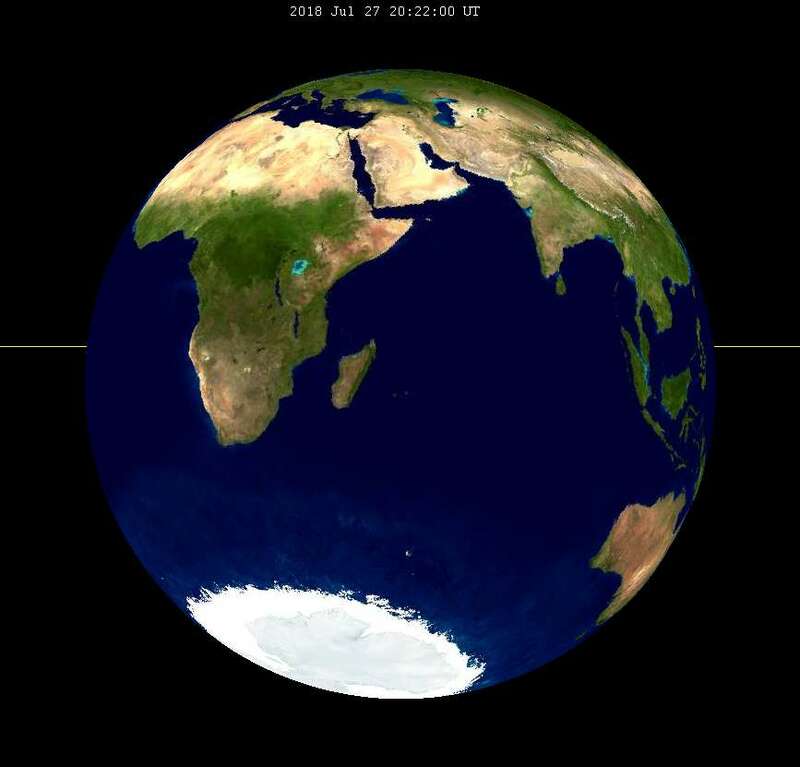 As the Earthsky notes, on July 27, Earth will be at its furthest point from the Sun, known as its apogee, which means that it casts a bigger shadow. And on the same date, the Moon will be at its most distant point in its monthly orbit around Earth, known as lunar apogee. These combined give us an especially long eclipse. This will be the longest eclipse of the 21st century, with the previous longest coming on July 16, 2000. That one lasted one hour and 46.4 minutes, which is just shy of the maximum possible time for a lunar eclipse – one hour and 47 minutes. 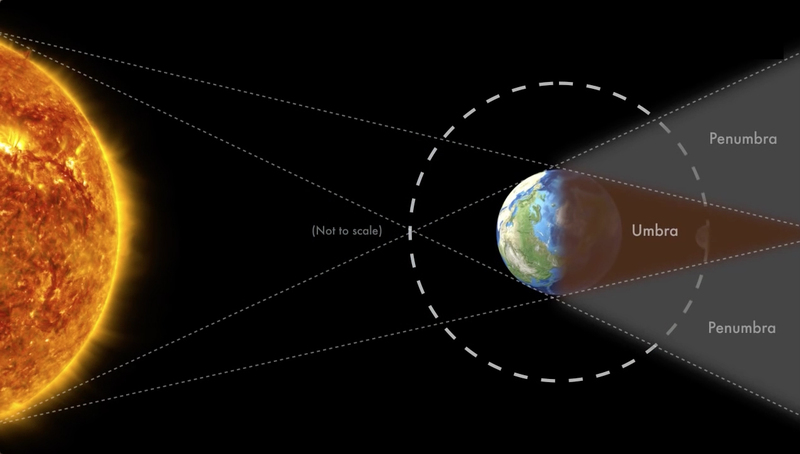 During a total lunar eclipse, the Moon doesn’t just turn dark. It actually turns red. It turns red because more of the Sun’s light hitting its surface is refracted by Earth’s atmosphere, as it has more to travel through. It’s similar to how sunrises and sunsets appear red in our sky. One other interesting point to remember is the gap between the last longest eclipse in 2000 and this one, which is 18 years. That’s known as a Saros cycle, which means they “share a very similar geometry” according to NASA. The next in this cycle will be 2036, and then 2054. So, if you’re in one of the locations mentioned above in July, keep an eye out. You’ll be lucky enough a lunar eclipse that won’t be beaten until the 22nd century. So you don’t want to miss this. Mark your calendars and get ready.